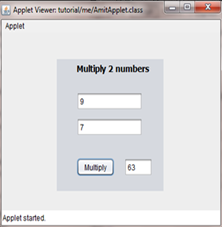 This article is a follow-up to Embedding an Applet in a Web Application. In this article, I will list some topics related to java and Java Applets that will give strong points about their use with proper resources. Some other related content for Java Applets will also be discussed here. 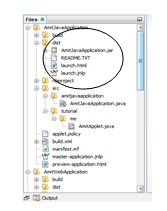 Amadeus, the largest travel company in the world uses Java for its front end GUI. GWT (Google Web Toolkit) is a development toolkit written in Java. Dalvik is an integral part of Android. High quality tools are there in Java; Maven, Swing Explorer , Archiva, JMockit etc. 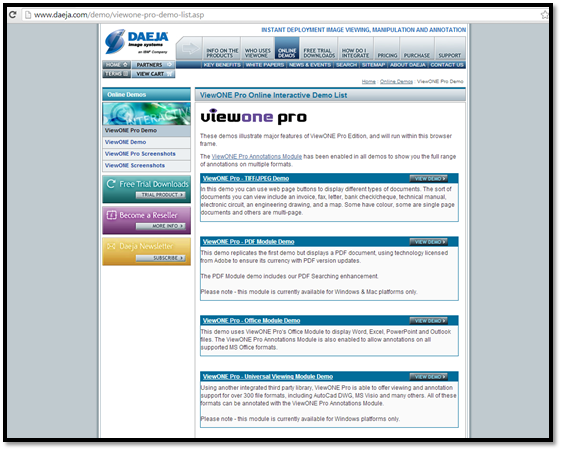 GDA is a framework used for creating customized data acquisition software for scientific purposes. 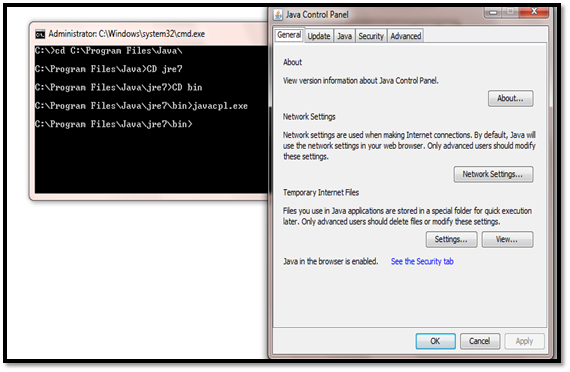 Java ME(Micro Edition) provides a flexible environment and user interface for mobile devices, sensors, printers etc. 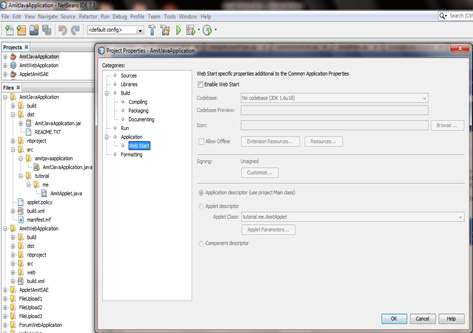 Oracle SQL Developer is written in Java. 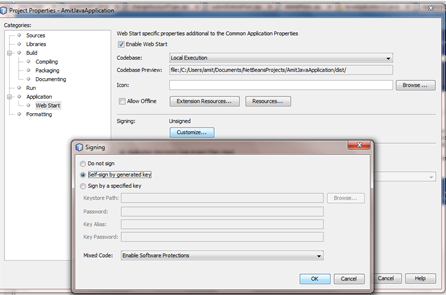 A rapid web application development platform ColdFusion is written in Java. A software system lifecycle management (SSLM) and application lifecycle management (ALM) platform known as “Integrity” is written in Java. ThinkFree: Professional Online Office Suit based on Java Applets and Ajax. JPC Emulator: It is an x86 emulator written in Java and uses Java Applets. 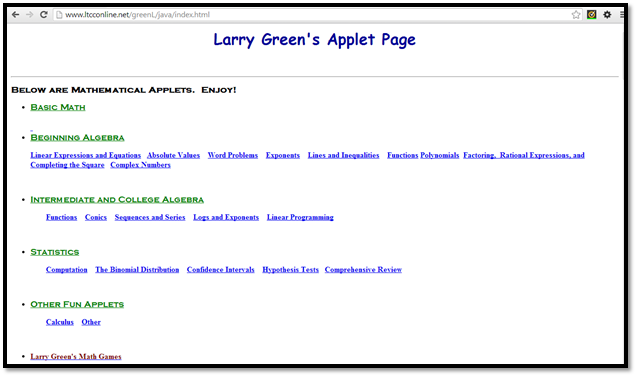 Statistics: Usage of Applets in developing Web Applications in Statistics is not yet obsolete. Education: Still studied in universities as part of course-curriculum. 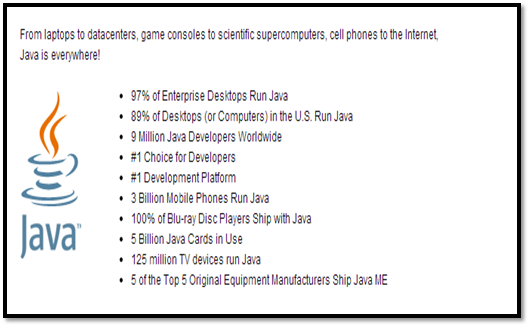 Yahoo Games: Uses Java Applets for games. Java Web Start: It is a framework developed to run applications outside browser, explained below. It is also known as javaws or JAWS. It was developed to run as an independent application. 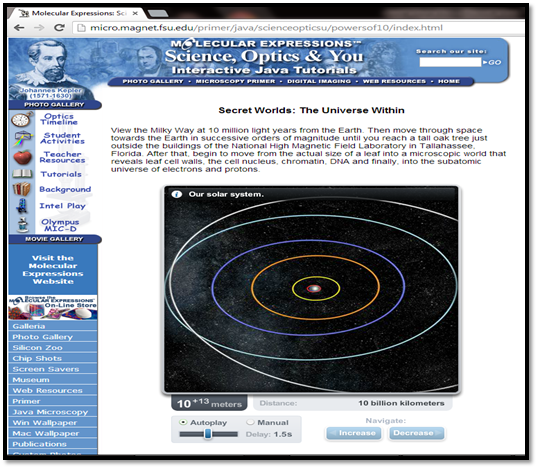 It allows working of Java Software on Internet using Web Browser. The software does not run inside browser like Applets. 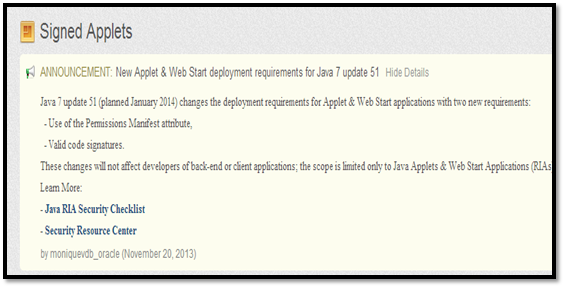 Java Web Start overcomes many compatibility problems with browsers, java plug-ins and different JVM versions. Web Start programs are independent applications that run in separate frame. They can also launch unmodified applets packaged inside .jar files. Java Web Start applications run in restricted environment which doesn’t allow them to access system resources such as local files, network etc. Publishers can easily remove these restrictions by signing their Web Start applications with a tool named as jarsigner that comes with Java Development Kit. CrossFTP FTP client and server. Jake2 Java port of Quake 2. Wurm Online 3D Massively Multiplayer Online Fantasy Simulator. Buho21 Game developed using Java Webstart technology. Running Reality Historical atlas and model of human history which includes national borders, armies, and people. Genevestigator Online Platform for researchers to explore data for research and clinical applications. Click on Enable Web Start and select “CodeBase” as Local Execution. After that click on “Customize…” under “Signing” and select “Self Sign by generated key”. 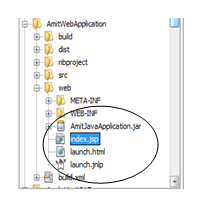 launch.jnlp – JNLP is Java Network Launching Protocol. This is an XML file with elements and attributes that instruct browsers how to run the application. 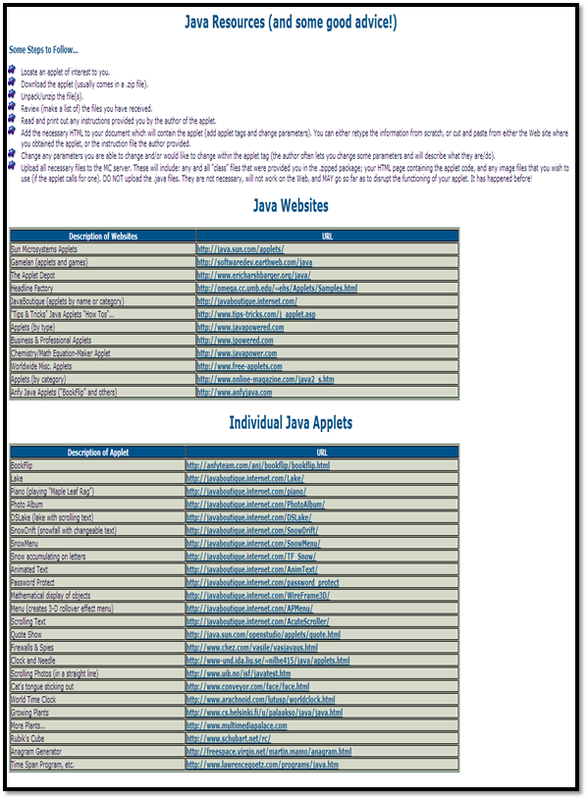 Some attributes of JNLP files are JNLP spec version, application title, vendor name etc. 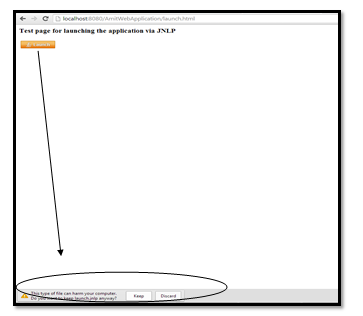 launch.html – This is an automatically generated HTML page that has a link to the JNLP file. Users click this link to start applications via Java Web Start. AmitJavaApplication.jar: The Project jar file. Abstract Window Toolkit (AWT): AWT classes and components are contained in the java.awt package hierarchy. 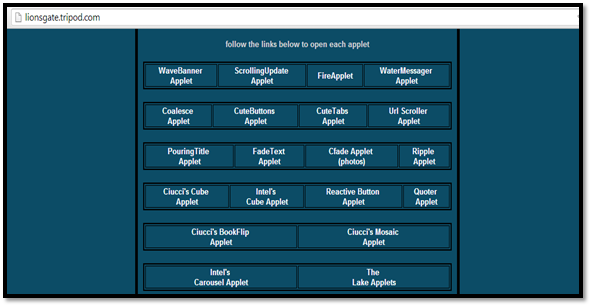 It is a set of APIs that provides GUI for java program like buttons, checkbox etc. AWTs are considered obsolete. Swings are preferred over AWT components. Swings: The Swing classes and components are contained in the javax.swing package hierarchy. Swing components are known as lightweight because they do not require allocation of native resources in the operating system’s windowing toolkit, whereas AWT components are referred to as heavyweight components. As per Java 6 Update 12, it is possible to mix Swing and AWT widgets without having z-order problems (z-order is the ordering of overlapping two-dimensional objects). Before Java 6 Update 12, mixing Swing components and basic AWT widgets resulted in undesired side. It has more flexible components than AWT. In J2SE 1.2, Swings superseded AWT’s widgets as it provides a richer set of UI widgets. Not yet obsolete, the same used by me in previous article. Before going further I would like you to look through Java Version History as mentioned at Wikipedia. This release introduced a new implementation of Java Plug-in known as Next Generation Java Plug-in that provides support for applets in web browser which combines the best architectural features of applet and Java Web Start technologies. It also provides a robust platform for deployment of Java and JavaFX content in the web browser. “Starting with Java SE 7 Update 21 in April 2013 all Java Applets and Web Start Applications are encouraged to be signed with a trusted certificate. These steps will significantly lower risks to desktop users. 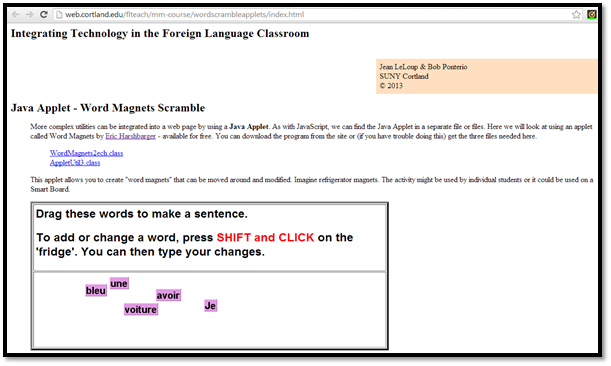 Dialog messages were changed for Unsigned, Self-signed and Signed Applets. This is explained here. 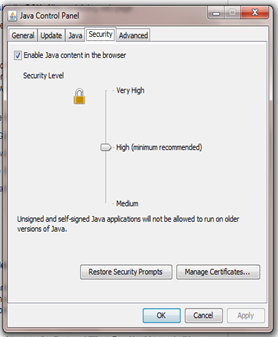 As shown in “Java SE 7 Update 21”, “low” security settings in Java Control Panel were removed. What to do if your applet is blocked or warns of “mixed code”? To help users that needs to use self-signed certificates without involving a public Certificate Authority. Describes the role of code signing. Any programming language is understood best when used perfectly in an appropriate environment and with some years of experience. Every language comes with its pros and cons. C and C++ is being used still after more than 30 years of its existence. So is Java, even after 15 years of its existence. I would like to mention that I am not a Java advocate and I don’t work for Oracle (and never worked for it before). I work as a Software Developer and Technical Writer in Java and this article reflects my research work on Java and Applets’ existence on behalf of experienced java developers around the web. 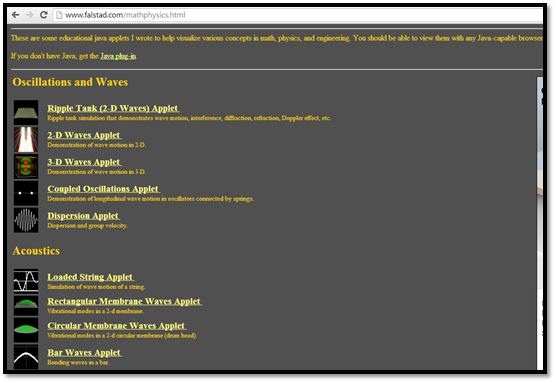 With regard to Java Applets, they remain an easy way to embed small Java programs in a web page and are used in many contexts, as shown above. 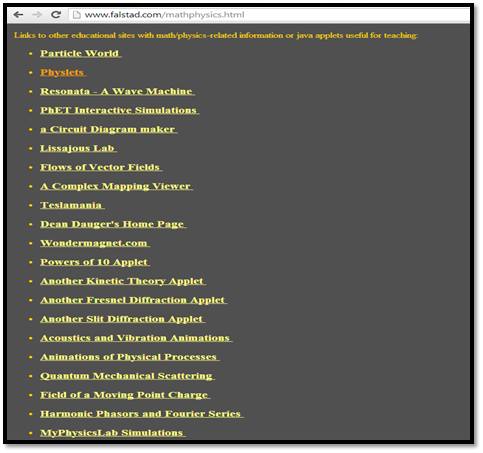 Applets are still part of course-curriculum in colleges. Oracle Java has been providing many updates which focuses on improving the usage of Applets. We can expect some further fixes by Oracle in terms of Applet security, signing, resources, reliability etc. It is not yet considered depreciated by Oracle; it means they’re planning something better for it in coming future (maybe in Java 8). Some security flaws were noticed in usage of Java (and Applets), but Oracle took the necessary steps to address them and updated it to avoid such flaws in future. Keep in touch here for upcoming Java Updates.